When students are typing in my Spanish class it is really important to have the ability to type correctly using accents. 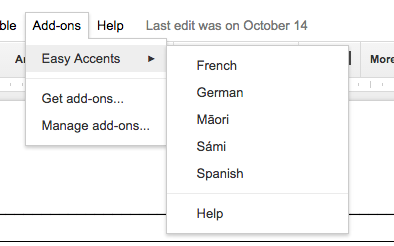 Luckily there is a new Google Doc Add-on called "Easy Accents." This Add-on is free, and extremely easy to use! 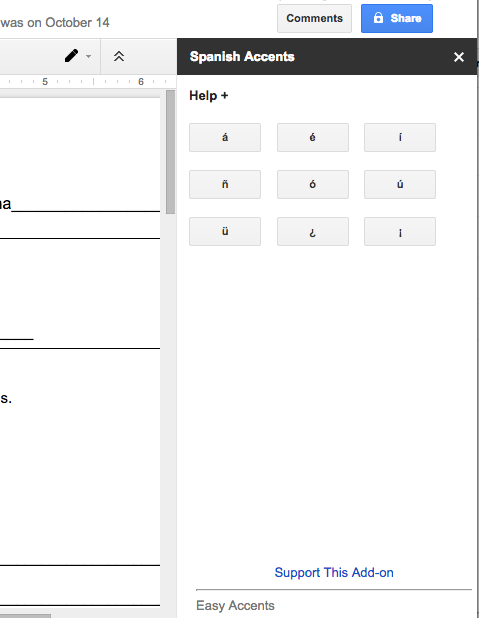 1: Open up any Google Doc new or old. 2: Click on "Add-ons" at the top of the doc. 4: Click "free" and then accept the Add-on. 6. Click on Easy Accents and find the language you are typing in. Now on the right hand side of your screen you will have this menu with all of the easy accents. The students love this Add-on! It has been a big success, and makes typing grammatically correct in Spanish a lot easier!